The first two episodes of this cinematic TV show set in the slums of Birmingham, post World War I. Winston Churchill sends in a brutal Irish policeman (Sam Neill) to restore order among the local gangs. A richly cinematic vision of an epic English gangster saga. 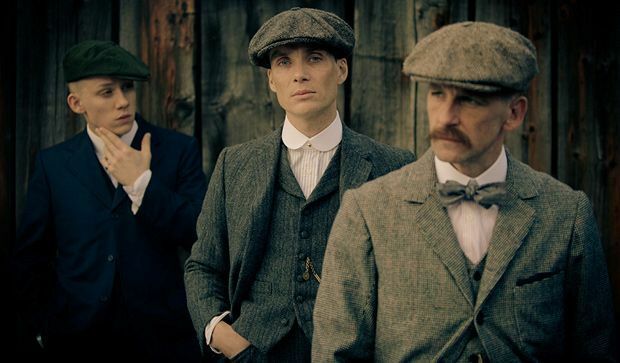 Set in the lawless slums of Birmingham just after World War I, this upcoming miniseries stars Cillian Murphy as Tommy, whose family lead the most feared and powerful local gang, the Peaky Blinders. With Communists and smuggled weapons mixed into the volatile brew, Winston Churchill dispatches a brutal Irish policeman (Sam Neill) to bring order at any cost. A special chance to watch the first two episodes unfold on the big screen.